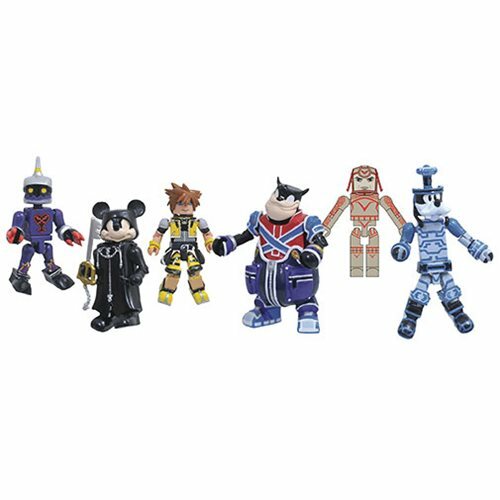 Minimates mini-figures are diving back into the world of Kingdom Hearts, and Series 2 spotlights more of Disney and Square-Enix's biggest stars from the second Kingdom Hearts game! Each Minimates mini-figure features up to 14 points of articulation and fully interchangeable parts and accessories. 1x Space Paranoids Goofy and Sark!